This is the temperature at which a fuel will spontaneously ignite into flame. There are different ways to measure this temperature, and they all basically heat the substance in a vessel without actually introducing a flame. When the substance begins combustion on its own is the auto-ignition temperature. This is the temperature at which a fuel will begin to turn into a gas. A fuel must be gaseous in order for combustion to occur. Since many of our fuel sources are liquid or solid, they must first be turned into gas. This temperature is therefore critical in determining how to ignite the fuel and to make a stove from it. This temperature is similar to the auto-ignition point in that is a measure of what temperature a fuel will burst into flame. The difference is that the fire point is the temperature when a fuel will ignite when exposed to a flame or source of ignition. None of these temperature points by themselves tell us what we need to know. By examining the three together, we can piece together the whole story of how a fuel will react and perform. The auto-ignition and fire point temperatures tell us about how hot a fuel needs to be in order to burn. The fire point is always lower than the auto-ignition point and is general related to it. The flash point while not directly related to actual combustion temperatures, actually gives us the most insight into ignition and burning characteristics. Because the flash point is not a combustion related temperature, it can be radically different from the other two temperatures. Of the three, flash point is probably the most critical temperature for the applications we most likely will use. Let’s look more closely at it. Consulting our chart, we can see why gasoline is so dangerous. At virtually any normal temperature it is constantly vaporizing, ready to ignite. Alcohols, with a flash point of only 55 degrees F, will also ignite at most temperatures when exposed to flame. 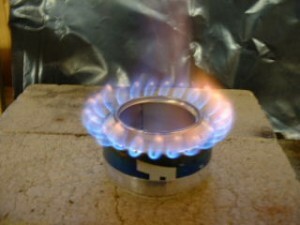 This characteristic makes it useful for camping stoves and requires no wick. When the flash point increases above any normal room temperature, we begin to need a wick in order to burn it. The wick is an ingenious device which provides a heat source just above the fuel which will then vaporize it for burning while drawing up the liquid fuel for a continual supply. It will even liquefy some solid fuels, such as wax, with which we are familiar. Petroleum-based fuel oils such as diesel and kerosene are examples of fuels that burn easily with a wick. Even higher temperature petroleum-based fuels such as paraffin and petroleum jelly (Vaseline) will burn readily with a wick. When we climb over 500 degrees F, we begin to have problems with burning fuels such as wood, paper, and vegetable oils. Wicks don’t work and their substantial flash points require a hot fire to maintain the vaporization needed for combustion. In some experiments I verified that, while vegetable oil does not burn with a wick, motor oil burns easily. This information can be used to devise a stove to burn what otherwise goes to waste or becomes pollution. What was formally a disposal problem, now becomes an asset. Used vegetable oil can also be made to work by mixing with another fuel to decrease its flash point.I did some experiments in order to determine at what point vegetable oil can be made to burn with a wick and it only needed a slight addition of kerosene. Therefore, the flash point seems to need to be just slightly less than 600 degrees for a wick based combustion. Knowing the various properties of fuels gives us the information we need in order to devise novel stoves and make use of materials we have at hand. Fire starters can be made with petroleum jelly (candles too), and any type of alcohol will burn readily without wicks. Lighter petroleum fuels require wicks, while heavier oils also burn using wicks, they can be more difficult. Some of this knowledge is common, but some is not as well-known. Also, even the common knowledge was without understanding. Now you know why. Please share in the comments any experiences you have with novel stoves or unique uses for fuels. Using Alternative Fuels by Provide Your Own is licensed under a Creative Commons Attribution-ShareAlike 4.0 International License. 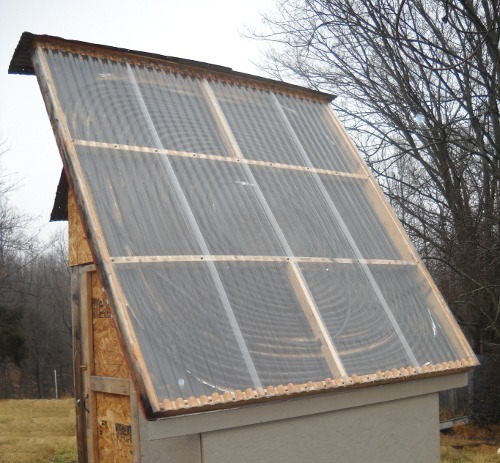 This entry was posted in Energy and tagged alternative fuels, cooking fuel, used motor oil. Section: Article. Bookmark the permalink. Both comments and trackbacks are currently closed.